These days, I always keep a couple of pieces of orgonite in my fridge to make my food last longer. Since I live by myself, a lot of my food used to go bad before I had the chance to eat it. 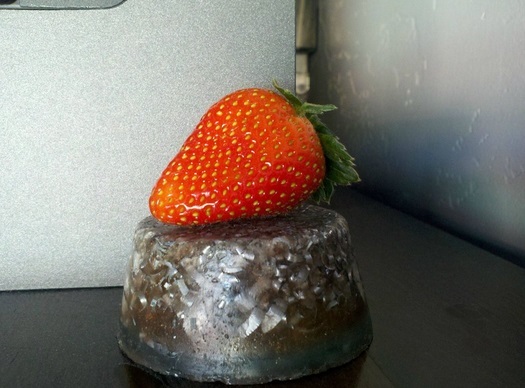 Since I started keeping orgonite in my fridge, I have noticed that the food stays fresh for longer. And since orgonite generates positive energy, I can assume that the food absorbs this energy, making it much healthier to eat. On top of this, refrigerators are a source of EMF (electro-magnetic frequencies). Since orgonite protects against the effects of EMFs, it makes sense to put a few pieces of orgonite inside and on top of the fridge. This leads me to an experiment I came across in a forum. 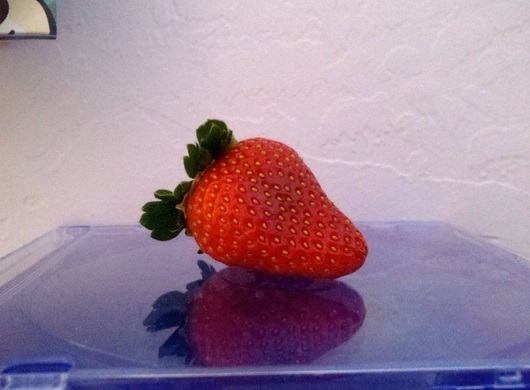 Two strawberries were kept outside the fridge for three days, one positioned on a piece of orgonite, the other a control strawberry without any orgonite near it. 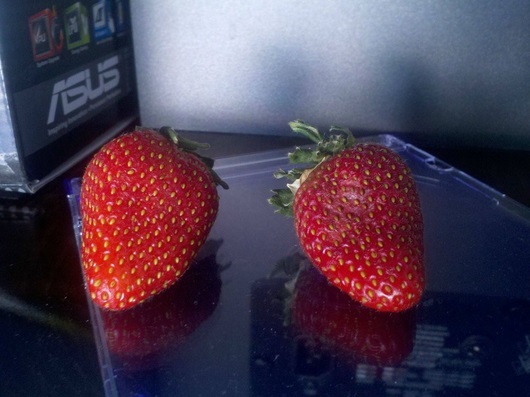 And the two strawberries side by side, the orgonised strawberry on the left. Now of course, this is not a scientific, double-blind experiment, but it does correlate perfectly with the effects that I have experienced with orgonite and food. Orgonite is powerful stuff! For more orgonite experiments, go to Orgonite Proof and Experiments. I love synchronicity! 😀 Now I’m curious as to who that person was….